Home animals And The World Comes Alive ! And The World Comes Alive ! When I used to teach elementary school, one of my favourite principals used to say May and June went by so fast we might as well call them “Mayjune” – all one month. Well yes. Here we are at the beginning of July and life is bursting out all around me! I do not even know where to begin, so this blog is going to be a bit of a hodgepodge of photos from the last couple of months. Early in May I headed out for my birding marathon- a highlight for me every spring! I spend from early morning until evening trying to find as many species of birds as I can in one day. I spent the morning around my house and the rest of the day down in Brighton, mostly at Presqu’ile Park. 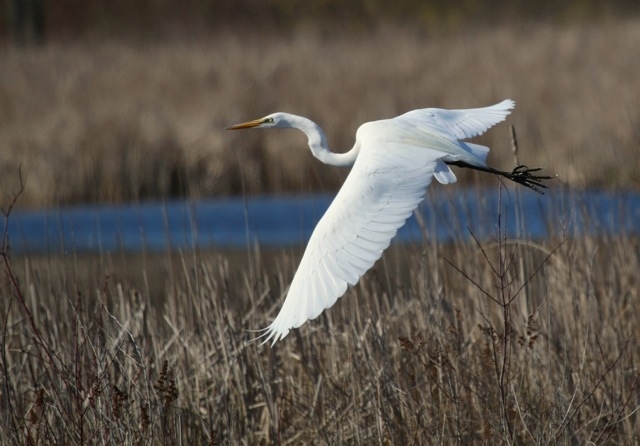 There are a lot of Great Egrets nesting on the lake this year, so it was lovely to see them. 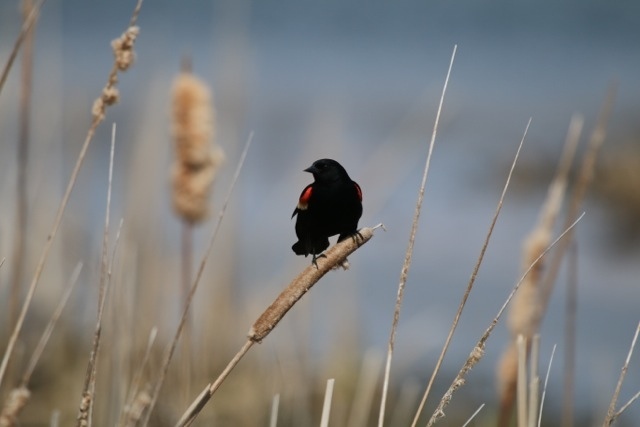 I saw more Red Winged Blackbirds than any other bird- they are very obvious and loud in the spring! By the end of the day I had found 96 species of birds- which is very close to the total I get most years. Very fun! A few trips to the woods behind the gravel pit near my house yielded a very vocal pair of Barred Owls, and eventually, a baby! I waited in the woods for hours one buggy May morning and was rewarded with seeing the mother owl hunt a chipmunk and then feed it to her baby. I love how the baby is snuggled up to the mom in this photo. 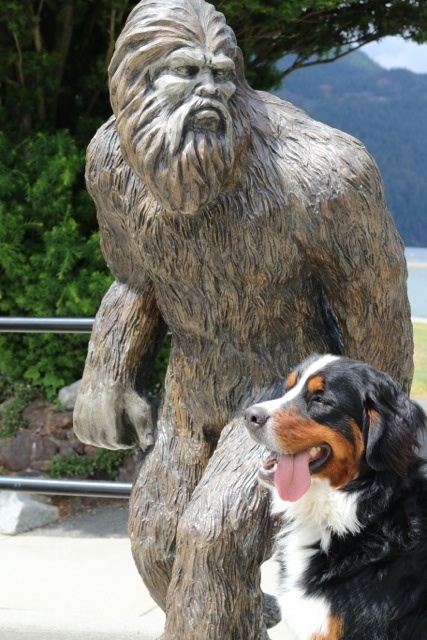 I took a late May trip out to BC to see my son and his wife, and spent lots of time exploring beautiful BC with my grand puppy Ellie. When I got home, life in my neighbourhood was running at full speed! 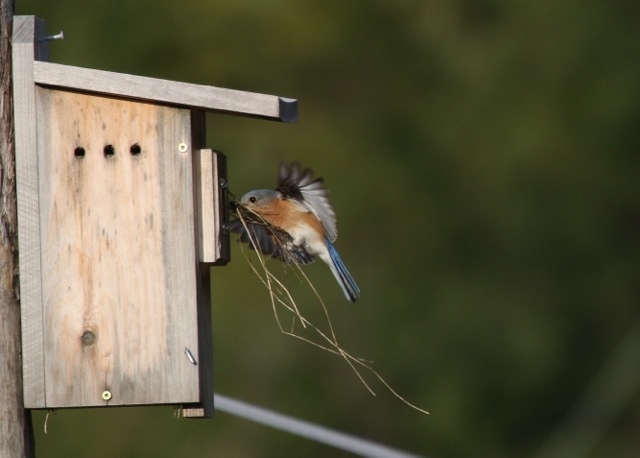 The highlight is the pair of Eastern Bluebirds who have decided to raise their family in one of the nest boxes we put up in the field across the street. 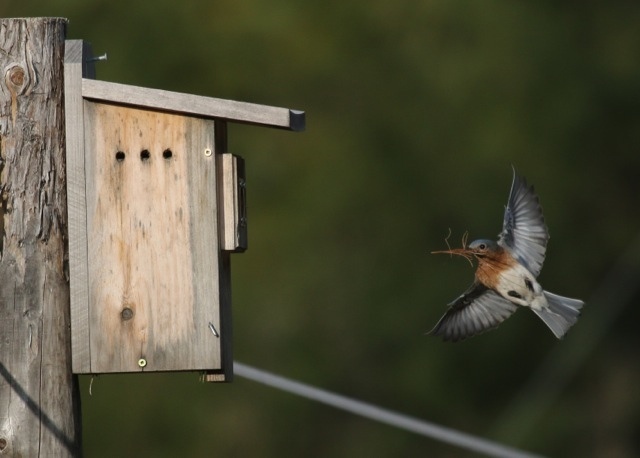 One morning I got to watch the female Bluebird carrying nest material to the box. The male sat up on the telephone wire singing to her the whole time, and catching up to her and mating when he could. She only took an hour or so to build the nest like she liked it. This morning I tried to sit still as long as I could, and finally captured the shy baby bluebirds as they surveyed the field near their nest box. The mom and dad are already working on another brood, and don’t seem to pay much attention to them anymore, but they seem just fine and are hunting bugs on their own, especially in the early morning. I am really looking forward to getting to know these little birds more this summer! Take care and thanks for visiting! 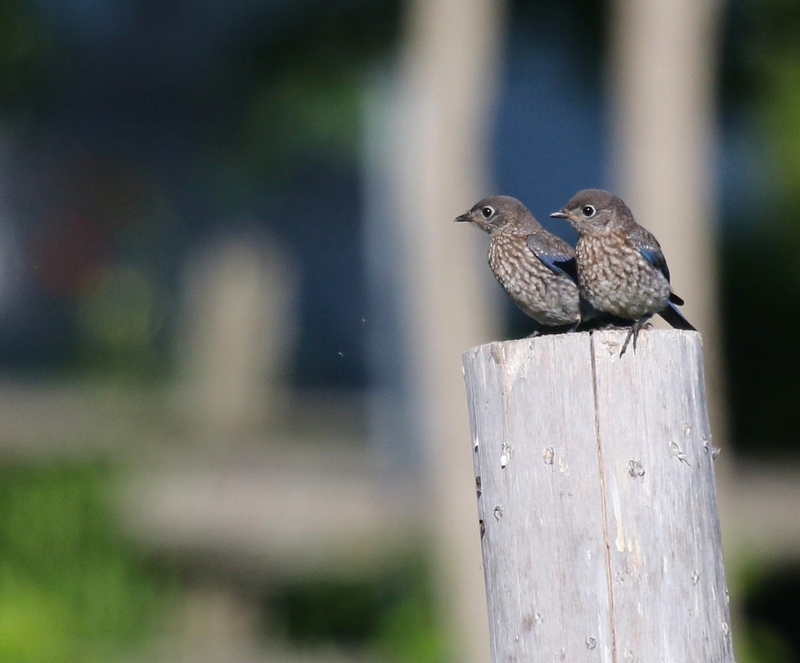 barred owls, eastern bluebirds, nature photography. Bookmark. Thanks Cathy! Such a beautiful time of year! thanks very much for sharing your photos, I LOVE them! Thanks Yvette! No plovers this year- maybe in 2019? Thank you! THere’s lots to see around here right now! I loved this partly because I had my first known bluebird sighting about two months ago sitting on my neighbour’s deck for happy hour. I said “I have never heard that bird before, what is it?”. He got his binoculars and we discovered it was a bluebird. I was so excited to see one for the first time. I don’t believe they are common in Toronto. HI there! 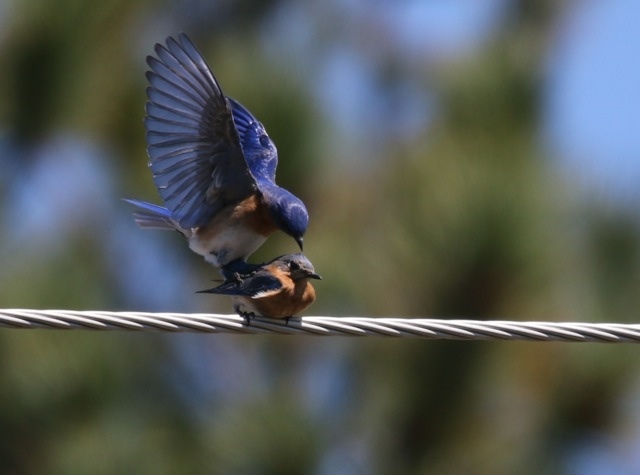 I know bluebirds are not rare, but they require a specific kind of habitat and it is so special to see one! we have been trying for years to attract them! Beautiful blog! 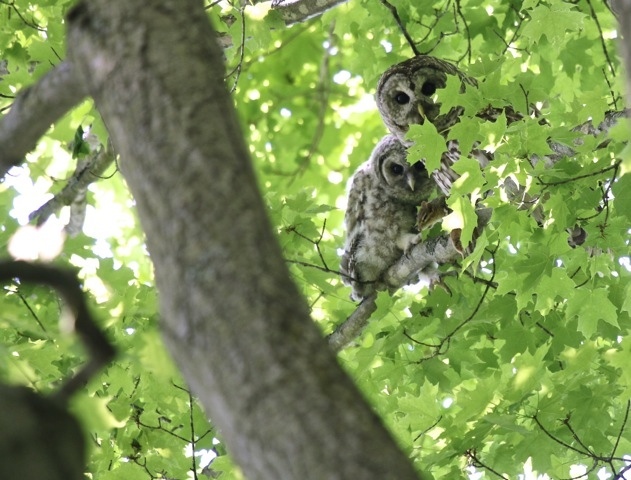 My favourite photo was of the mother and baby barred owls! But all were wonderful! Looking forward to your next blog! Thanks Cindy! I waited so long for those owls! You know how that is! You just want to give up, and then you don’t, and then something wonderful happens. Gorgeous Leslie!!! I love looking at your pictures! Such patience to wait for hours to get these beautiful, gorgeous pics for us to enjoy!!! Hi Leslie! 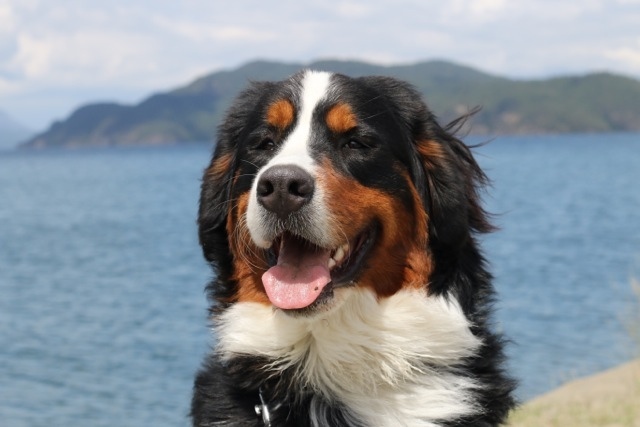 Beautiful photos, I really enjoy your blogs…Thank you!